Christmas markets always reflect the culture and pulse of a country or region- food, drink, music and more. Europe is one of the main destinations for some wonderful Christmas markets that not only children would enjoy, but where the adults also can find plenty to do. Moreover they do not need much planning to visit, and often a couple of them in different countries, clubbed together could be a nice idea for a short break. Asian Voice lists the Top 5 such destinations to enjoy with your family. 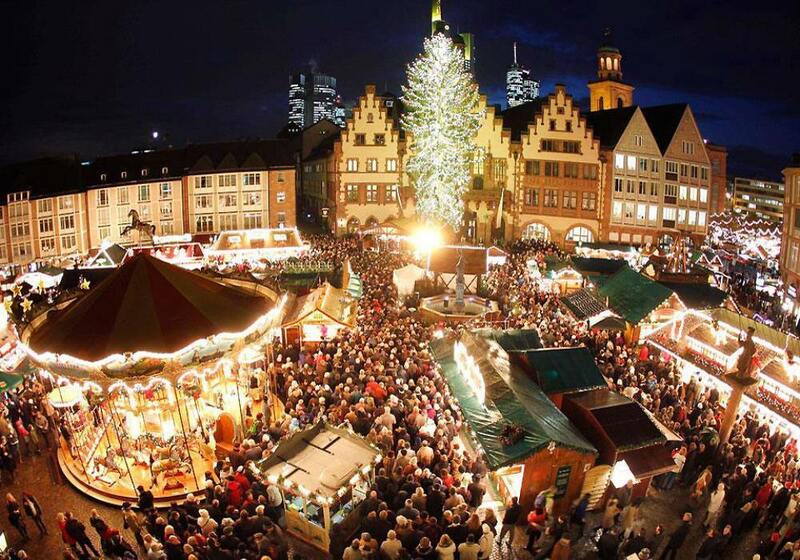 When you think of an ideal Christmas market, Germany and its cities top the list. Originally a German concept, though London perhaps has the largest Christmas market (Winter Wonderland), but the markets in Germany have a different charm altogether. Cologne has not one but seven Christmas markets, according to The Daly Telegraph. Head to the Old Town’s cobbled Alter Markt and Cathedral markets for candles, tree decorations and handmade lacework. The fairy-tale St Nick’s Village on Rudolfplatz is good for wooden toys, and locals’ favourite Neumarkt’s Angel’s Market for Dresden Stollen cake. Among the trees of the Stadtgarten is a more left-field market selling Mongolian slippers, jewellery and dozens of different honeys. It’s a peaceful spot to sit with a mug of glühwein. Vienna's Christmas Market dates back to the 13th century. It now has around 10 markets, with more than 150 stalls filling the Rathausplatz in front of the neo-Gothic City Hall. There are so many things one could buy from miniature wooden houses, puppets, gingerbread hearts, leather clothing to woollen hats. Or could try the atmospheric lanes of the Spittelberg market near the Museums Quarter for handblown glass, silverware and ceramics. You mustn't miss a stroll in Rathauspark, with its carousel rides and light-bedecked trees and pavilions. Belgium in the winter is extraordinarily cold. The canals freeze into ice, and you may find thin layer of ice everywhere, if not snow. The main market square dresses up beautifully overlooked by the 13th-century Belfort (belfry), and in Simon Stevinplein. There are plenty of places to buy handmade jewellery, wooden toys, hats and scarves, leather goods and, of course, chocolates. You must not miss the local beer- especially the food flavoured ones. Prague's Old Town Square, Staromestske namesti, has a stage-set nativity scene, a huge tree and daily performances by folk bands and choirs. There are so many stalls- and in neighbouring Wenceslas Square – for carved wooden toys, Bohemian crystal, garnet jewellery and traditional straw and maize decorations. In France, Lille’s Christmas market is a foodie’s paradise. You’ll find the usual Christmas-themed stalls dotted around Place Rihour, but if you’re looking for more chic gifts there are plenty of boutiques in and around the area. You can reach Lille from London by Eurostar in as little as 80 minutes. Catch an evening concert in one of the city’s churches, such as St Salvator, St Clement’s Cathedral or St George’s Basilica. Don't miss the mulled wine. Forget those frustrating baggage restrictions and hop on board Magellan as she sails from Tilbury to Amsterdam on a festive cruise which also goes to Hamburg and Antwerp. And you can start your Christmas shopping in the on board duty-free store with your pound sterlings. Whilst Amsterdam doesn’t have a traditional Christmas Market there’s no shortage of shopping opportunities.But there are be plenty of festive spirit at Hamburg’s and Antwerp’s atmospheric markets with stalls selling hand-crafted decorations, pottery and jewellery from local artists.